Although the Oakland Raiders may have endured a rough 2018 NFL season, Derek Carr is still optimistic about their chances to compete moving forward. The Raiders made headlines with some questionable roster moves over the last year. As a result, they were undoubtedly one of the worst teams in the league this season. 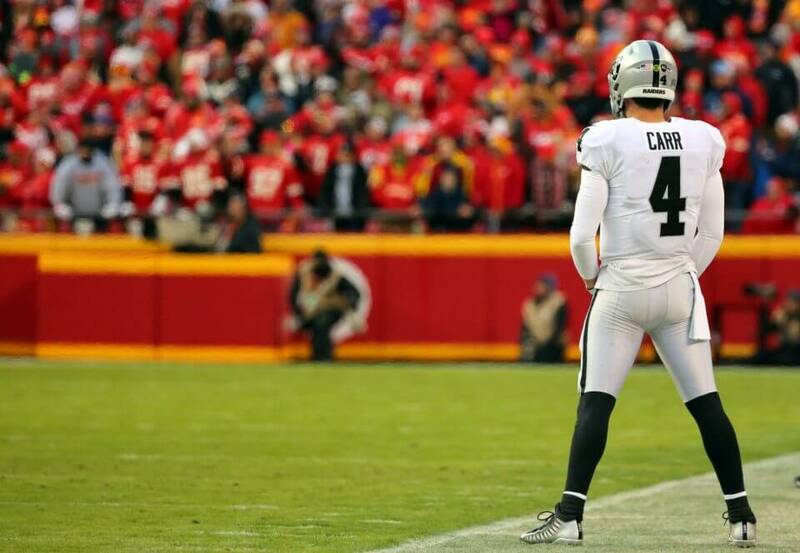 It is encouraging to see the down year has not affected Carr’s optimistic approach. He is certainly going to need it with the Raiders in the midst of a serious rebuild. They rid themselves of all their veteran and Pro Bowl talent in exchange for quality draft picks. The pressure will now be on the front office to make the most out of the bevvy of picks they have stocked up. While there is no question the Raiders will have talented players to choose from the in the 2019 NFL Draft, it remains to be seen if the same can be said for free agency. It could be difficult to sign some talented veterans this offseason given their recent history of how they treat star players.